Using human rights to combat unsafe abortion: What needs to be done? The latest global and regional estimates of the incidence of unsafe abortion and associated mortality bring no comfort to the African region. What is disconcerting about the estimates is not only that unsafe abortion continues to account for 13 per cent of maternal mortality, but also that, from a regional perspective, Africa’s share of unsafe abortion-related maternal mortality remains quite disproportionate. Africa stands out as the region least positioned to meet the Millennium Development Goal to reduce maternal mortality by three-quarters by 2015. Over and above being a public health issue, it is difficult not to also see unsafe abortion as a compelling human rights issue for the African region. Unsafe abortion is the cause of the needless deaths of so many women, especially those that are poor or live in rural areas. While globally, unsafe abortion is responsible for the deaths of 47 000 women each year, close to 62 per cent of the deaths (29 000 women) occur in the African region. It is not unaffordable technology or major capital outlays in health infrastructure that stand in the way of the continent’s capacity to eradicate unsafe abortion. In a region where doctors are highly scarce, such as the African region, first trimester abortions can be safely performed by trained midwives and nurses using inexpensive technology. Furthermore, the advent of medical abortion has been an important breakthrough in the development of a method that is potentially cheap and does not come with infrastructural costs associated with surgical abortions. 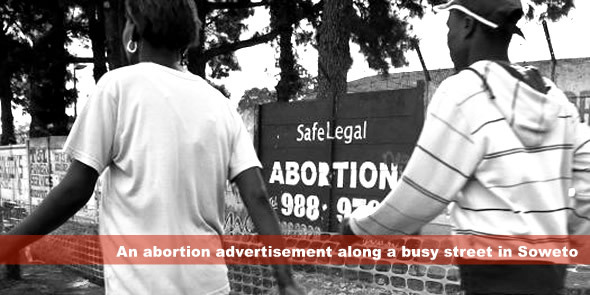 Rather, the major obstacle tothe eradication of unsafe abortion is the historical criminalisation of abortion. While the causes of unsafe abortion are multi-layered, restrictive abortion regimes are heavily implicated as major causative factors. But what can human rights do? Foremost, what is needed is a paradigm shift in the regulationof abortion. Stemming the tide of unsafe abortion and saving the lives of women calls for transforming, at the domestic level, especially, the model for regulating abortion from crime and punishment to a reproductive health model. The crime and punishment model is a colonial bequest that the erstwhile colonising countries, themselves, have long discarded in order to preserve the health and lives of women. The African region can scarcely afford to cling to a bequest borne out of 18th century European ecclesiastical law that drew its impulse from masculine theologies which conceived women as physiological and procreative instruments rather than moral agents. Though the Protocol to the African Charter on the Rights of Women rightly deserves the accolade of pioneering the substantive recognition of abortion as a human right in an international treaty, it does not go far enough to the extent that it largely medicalises the grounds of abortion and implicitly makes health care professionals the gatekeepers rather than the women themselves. Abortion law that does not put women at the centre of decision-making about whether to remain pregnant serves to preserve patriarchal power, but at the expense of women’s equality and human dignity. It denies women the right to make decisions that preserve their health and lives. Where it is safe, abortion should be granted on demand, especially in the first trimester. In the Africa region, Tunisia and South Africa have blazed the trail in this regard and with salutary effect on maternal mortality. But it is not just decriminalisation of abortion that is required, but, instead, making abortion an integral part of realising reproductive health as a human right that comes with capabilities for women. A meaningful right to abortion must come with raising awareness among women about unsafe abortion, educating women about their rights to abortion and providing equitable access to abortion services. Even where abortion has been decriminalised or the grounds for abortion have been broadened, the historical criminalisation and stigmatisation of abortion can continue to serve as veritable barriers. Emerging jurisprudence from United Nations treaty monitoring bodies shows that liberalisation of abortion law is not always followed by practical implementation and that abortion rights may exist only as paper rights. Therefore, over and above making abortion services available, it is incumbent upon States to take positive steps to provide to both women and providers of abortion services, clear and enabling guidelines for implementing access to safe, legal abortion. For the full version of this article, inclusive of footnotes and references, please click here. Charles Ngwena LLD, Barrister-at-Law, is a Professor Law at the University of the Free State, South Africa. He directs an LLM Programme in Reproductive and Sexual Rights, and has published widely on issues at the intersection between human rights and health care, including HIV/AIDS and reproductive and sexual health. He is also a disability rights specialist. This is very insightful.well resarched article,which i know sooner or latter African Countries would embrace the fact rather than chacing shodow.Thanks for job weldone prof.